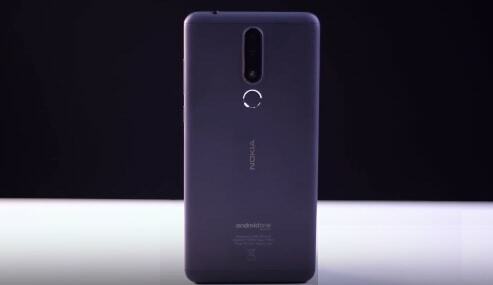 HMD Global, the Nokia brand’s handset maker, launched Nokia 3.1 Plus smartphone on 11 October 2018. It is known that Nokia 3.1 Plus is the upgrade to the Nokia 3.1 launched in May this year. In the launch event held in New Delhi, the company has launched Nokia 81 Plus 4G with Nokia 3.1 Plus to bring the phone into the market. This smartphone is also part of Google’s Android One program, i.e. the phone is guaranteed to receive software updates for up to two years and up to three years of security updates. HMD Global has dual camera setup in Nokia 3.1 Plus to lure customers. It is part of the 3,500 mAh battery, 8-megapixel front camera, and Android Oreo phone. The new Nokia phone has a 6-inch HD + IPS display and uses the Octa-core MediaTech Helio P22 processor. The smartphone will be made available for sale from October 19th. The handset will be sold in Blue, White and Baltic colors. Price of 3 GB RAM and 32 GB storage of Nokia 3.1 Plus has not yet been revealed. Nokia 3.1 Plus will be sold for 11,499 rupees. The price is of 2 GB RAM and variants with 16 GB storage. RAM will have two options – 2 GB and 3 GB The smartphone has a dual rear camera setup. There are two options for inbuilt storage – 16 GB and 32 GB. Both variants of Nokia 3.1 Plus will support up to 400 GB microSD cards. 3,500 mAh battery will work in the phone. Dual-SIM Nokia 3.1 Plus will run on Android Orio. The phone uses the Octa-core mediaTech Helio P22 (MT 6762) chipset. There is a 6-inch HD + (720×1440 pixels) IPS display. It has an aspect ratio of 18: 9 and it comes with a 2.5 d glass. The dimensions of the handset are 156.68×76.44×8.19 millimeters. Nokia 3.1 Plus has an 8-megapixel camera for the selfie. It is equipped with F / 2.2 aperture, fixed focus lens, and 1.12-micron pixels size. The primary sensor is 13 megapixels. It is equipped with F / 2.0, phase detection autofocus lancer and 1.12-micron pixels size. The secondary sensor is of 5 megapixels. It is an F / 2.4 aperture sensor. Accelerometer, e-compass, fingerprint sensor, gyroscope, ambient light sensor, and proximity sensor are part of this phone. The smartphone features 4G VoLTE, Wi-Fi 802.11b / g / n, Bluetooth 4.1, GPS / A-GPS, Micro-USB and 3.5mm headphone jack connectivity features.